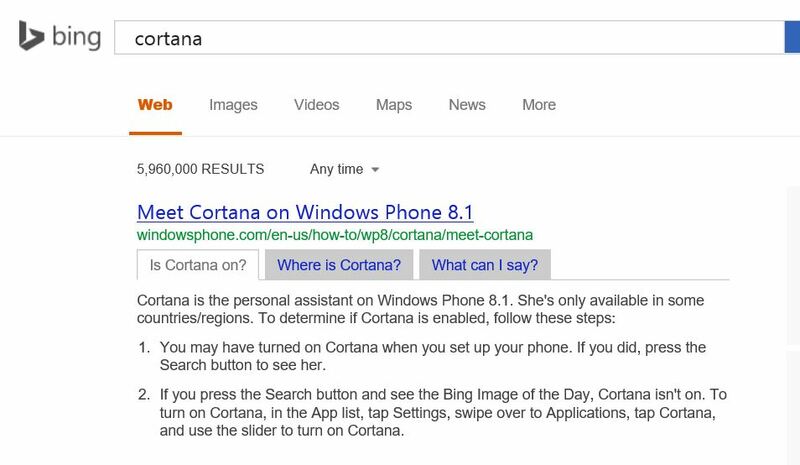 Microsoft Bing has recently added “technical” instant answers for questions about Microsoft products and technologies or technical support issues. Microsoft is adding more technical instant answers to Bing from their content management system. For example when you search for “Cortana” on the web, you will get results like the above. In fact, they are even adding links to some of their automated solutions. When you search for “Windows Update Troubleshooter”, the first result will be a technical instant answer with a link to download and run our automated troubleshooter to fix problems with Windows Update. These features are also available in the Bing app on Windows Phone.